Almond Butter – how do you like yours? Several years ago I read about the benefits of eating almonds – they didn’t really feature in our lives at that time so I decided to try and incorporate them into our daily routine. We added almond butter to our daily porridge ritual and there has been no going back. Dave likes his almonds to be roasted before they are made into butter – he likes to swirl it into his porridge to give a lovely roasted almond flavour to his breakfast. On the other hand – I like my almonds to be ground in their raw state – no roasting necessary and made into a more solid ‘butter’ which I can slice up over my porridge – delicious! 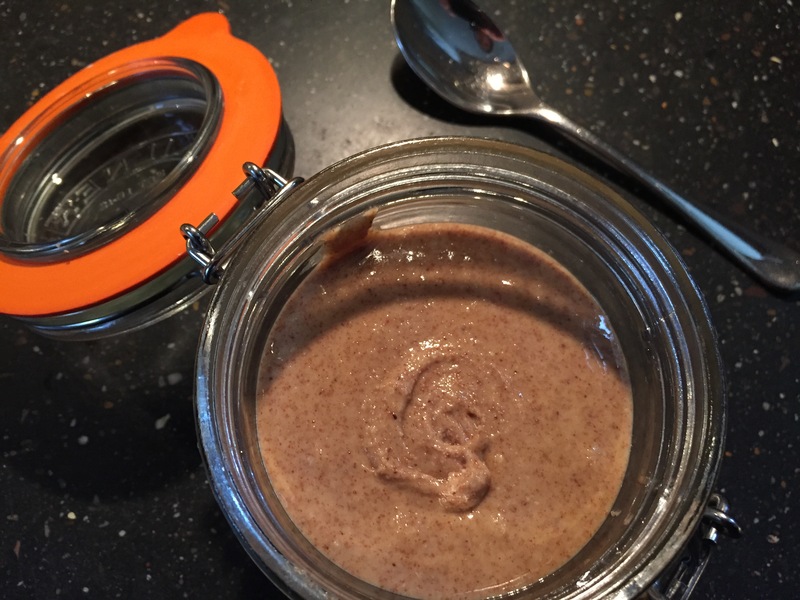 I make the almond butter in my Vita-Mix – an extremely powerful piece of equipment. Just throw the almonds in and blend to the consistency that you require. To make the roasted version all you need to do is pop the almonds onto a baking tray and roast for approximately 9 mins at 170C fan, allow to cool and then blitz to a gooey paste. There is no need to add any salt or oil. If you are going to keep this for a long time, it should be stored in the fridge. We get through a jar in approximately a week and being sealed, we have no problems keeping ours out of the fridge. I have also made almond, brazil and cashew butter in the same way (ABC). Its best not to roast the brazils and cashews before blending – well that’s my taste -I find the roasted flavours a bit overpowering. This makes a ‘complete protein’ butter and amazing if you’re building those muscles! 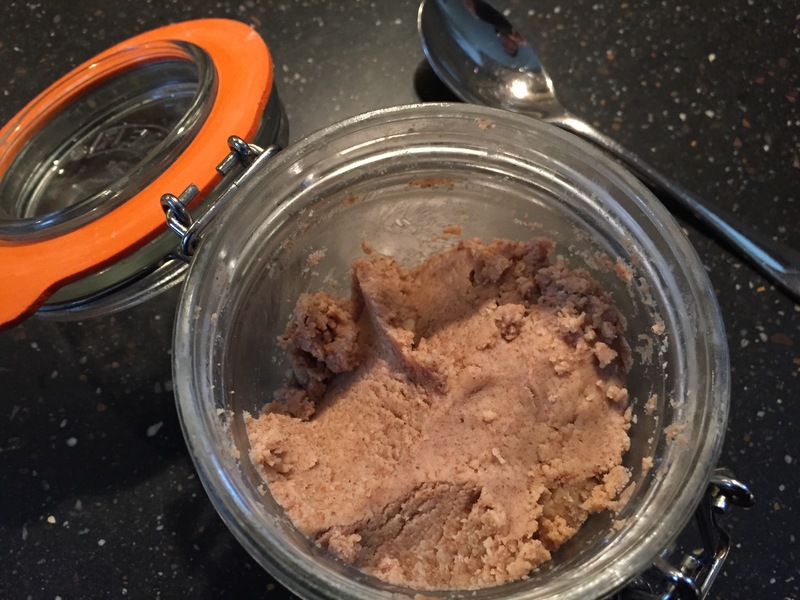 Have you tried making nut butter? How do you like yours?